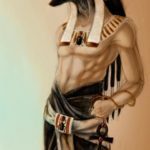 Can we guess your personality through your Egyptian zodiac sign? The Egyptians are one of the pioneering contributors to ancient astronomy. It all began in the depths of prehistory and the discovery of stone circles at Nabta Playa, dating from the 5th Millennium BC, show that the Egyptians had already developed a calendar. The Egyptian zodiac is made up of 12 signs. Certain days of the year are represented by each of the signs. Each astrology sign is symbolized by an Egyptian god that is believed to help you, guide you and give you special talents. The first sign of the Egyptian zodiac is called The Nile. It is representative of a new start. People born under this sign are very passionate about life. They try to avoid conflict whenever they can. They love to dream about the possibilities of life. They are most compatible with Amon-Ra and Set. 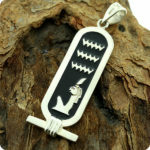 The second Egyptian zodiac sign is Amon-Ra. People born under this sign make good leaders. They come across as being very controlled and confident. They strive to be the best at what they do and are motivational and encouraging to others. They may find success in counseling or mentoring. They are most compatible with The Nile and Horus. The third Egyptian zodiac sign in Mut. Mut is a symbol for the mother. People born under this sign are nurturers by nature and make good parents. They are logical and practical thinkers and would do well in careers in law, nursing or teaching. 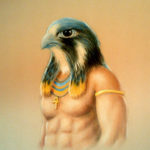 They are most compatible with the signs of Amon-Ra and Thoth. People born under the sign of Geb are kind hearted and sensitive. They trust their intuition and their feelings and can be affected deeply by things happening in the world. They are environmentally conscious and aware of any harm being done to the earth. They are most compatible with the signs of Set and Horus. 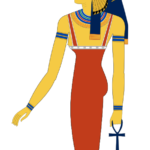 People born under the Osiris Egyptian sign have two sides to their personality. On one side they are strong and on the other they are vulnerable. They are independent and go after their goals with enthusiasm. They have lots of energy and are very independent. 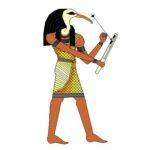 They are most compatible with the signs Isis and Thoth. People born under the sign of Isis are very direct. They like to get to the point with no misunderstandings. As Isis is a natural protector, they are very protective and mothering to those they love. They are have an energetic and playful personality. They are compatible with the signs of Osiris and Thoth. 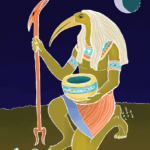 Thoth is known as the god of wisdom. People born under this Egyptian horoscope sign are good at solving problems. They have good memories and never forget a good deed done by someone else. They are naturally romantic and are always looking for a stable partnership. They are compatible with the signs of Bastet and Isis. 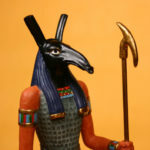 People born under the sign of Horus have a lot of courage. They take risks in order to achieve their goals. They love to be in charge and crave security. They are optimistic and want to always be the best in life. They are compatible with the signs of Bastet and Geb. People born under this Egyptian astrology sign love solitude. They are very passionate and need time to be introspective. They are introverts who love peaceful environments. Their emotions can be intense but they are generally very calm and even tempered. They are confident and have a regal air about them. They are compatible with the signs of Bastet and Isis. 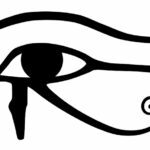 People born under the Seth Egyptian sign are perfectionists who are always seeking change. They have a hard time being in one place. They are good communicators and love to be the center of attention. They have outgoing personalities and love the challenge of any obstacle. 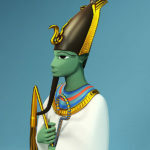 They are most compatible with the signs of Geb and The Nile. 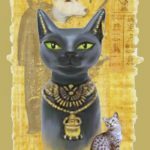 People born under the sign of Bastet are searching for peace and balance in their lives. They have a strong intuitive sense and have a natural ability to sense the true motives of others. They may be attracted to the occult and metaphysics. They are most compatible with the signs of Sekhmet and Horus. 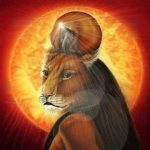 People born under the sign of Sekhmet are very down to earth. They are very intelligent and do best in positions of authority. The are perfectionists and have a good sense of fairness and justice. They would do well in careers as a judge or CEO. 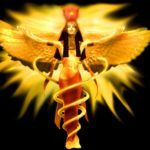 They are most compatible with the signs of Bastet and Geb.